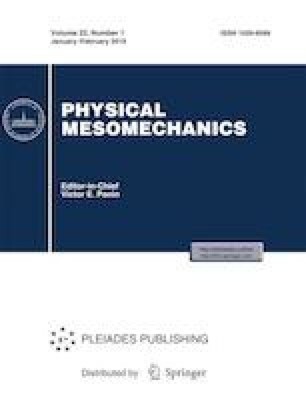 A two-component model which accounts for electron gas pressure is proposed for describing the dynamics of thermoelastic and thermoacoustics effects in laser-irradiated conductors. The model medium represents two interpenetrating continua such that interacting particles of both exist at each point of the medium. The electron gas in the model comprises free and bound electrons of which the former obey the laws for perfect metals and the latter obey those that account for electron trapping to localized levels and for electron transitions from level to level, i.e., for jump diffusion and hopping conductivity. Unlike the classical model of thermoelasticity, the proposed model is the first to show that the electron gas pressure depends strongly on the temperature difference between the electron gas and the conductor lattice and on the change in the density of free electrons as localized species become free by the Mott mechanism. The duration of acoustic pulses in the conductor lattice is essentially dependent on the time of laser irradiation and on how long the gas and the lattice differ in temperature, with the longest acoustic pulse falling on a certain localized electron density. The model data are compared with experiments. Russian Text © N.F. Morozov, K.L. Muratikov, D.A. Indeitsev, D.S. Vavilov, B.N. Semenov, 2018, published in Fizicheskaya Mezomekhanika, 2018, Vol. 21, No. 6, pp. 17–22.